Sixtyforce v1.0.2 is released. 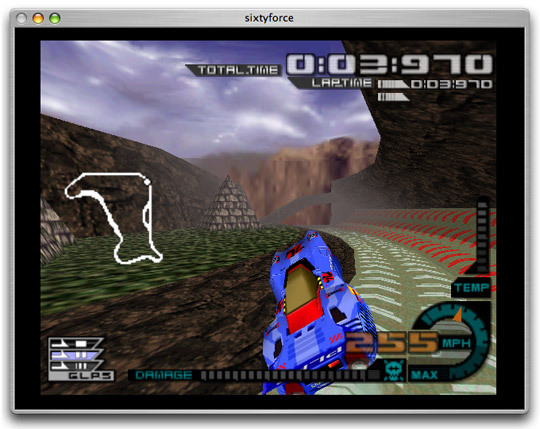 Sixtyforce the Nintendo 64 emulator for the Mac. It does this by dynamically translating the code that a Nintendo 64 uses into something your Mac understands. Nearly every part of a Nintendo 64 has been painstakingly recreated entirely out of software to pull off such an amazing feat.